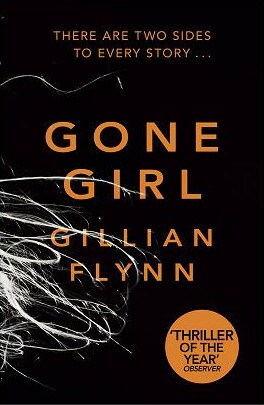 With David Fincher’s new film Gone Girl hitting the cinemas, it seems like a good time to mention the grammar references in the source novel by Gillian Flynn. (Also, I read it just a few weeks ago.) I counted three such references, quoted below. If you haven’t read Gone Girl and intend to read it or see the film, you might want to skip this post in case of spoilers. The book is an effective page-turner, and the less you know about how the plot unfolds, the better. If you have read it or don’t care about spoilers, read on. Just hoi polloi, I thought, not the hoi polloi. It was something Amy had taught me. For the record: the hoi polloi is so common, and has such a strong literary pedigree (Byron, Dryden, et al. ), that even prescriptivist authorities often permit it. But it remains a popular shibboleth in usage commentary and casual nitpickery. They say it’s important for Nick and me (the correct grammar) to have some time alone and heal. I don’t know if any of these (or similar) items appear in the screenplay, which Flynn also wrote, but I’ll be interested to see if they do. If you plan on catching the film soon, enjoy.